Monica O. Krause & Assistant Heather Grenamyer. TIME: Saturday, February 18, 2017 @9am-4pm. • HOW HORSES LEARN: Discover the principles of using the nature of humans and horses to work together safely and harmoniously. 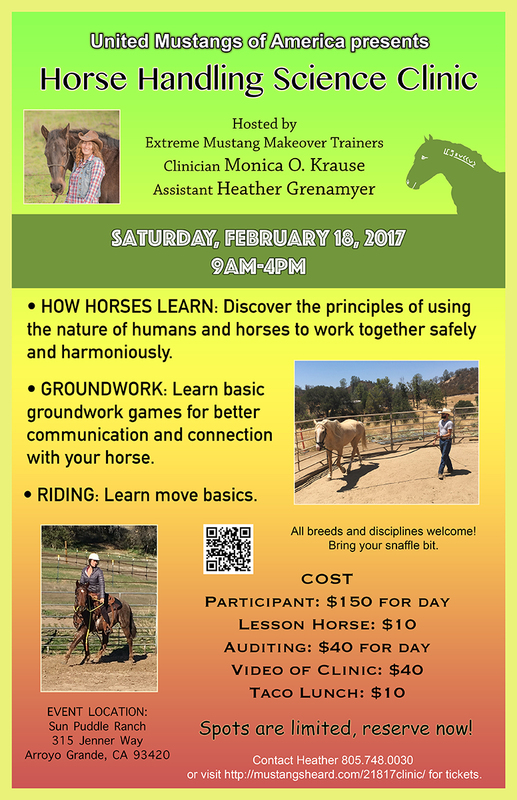 • GROUNDWORK: Learn basic groundwork games for better communication and connection with your horse. • RIDING: Learn move basics. All breeds and disciplines are welcome! Bring your snaffle bit. Spots are limited, reserve now! 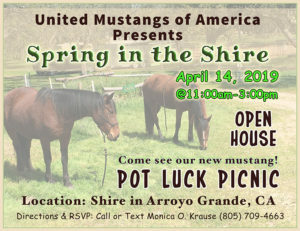 MAIL: Print out the SIGN UP form and mail check to 974 Griffin Street, Grover Beach, CA 93433. PAYPAL: Click here to purchase TICKETS.